Based in Olathe, Kan., Erika Henritz began her writing/editing career in 1994. She specializes in health publications and has worked for ATI, where she served as editor for several nursing textbooks, including the company's R.N. and P.N. "Mental Health" and "Fundamentals of Nursing" reviews. Erika holds a Bachelor of Science in education and foreign language from the University of Kansas. 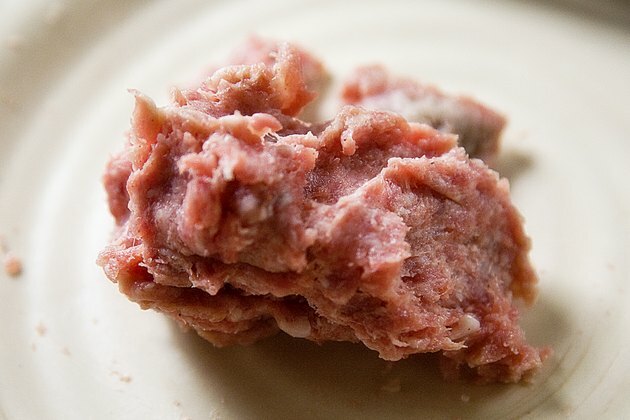 Raw pork can contain several bacteria and parasites, and raw pork sausage is no exception. 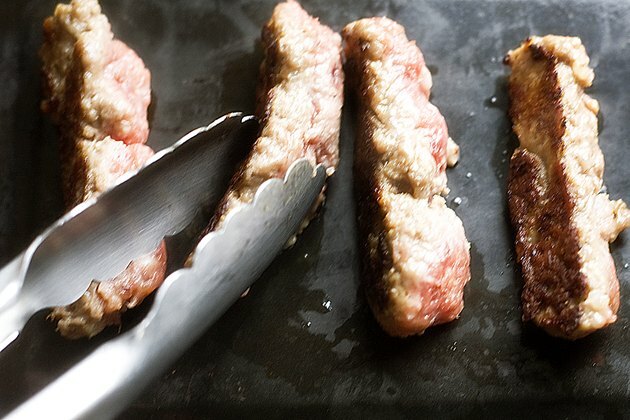 When preparing pork sausage, take special care to avoid exposing yourself and your family to bacteria such as salmonella and staphylococcus aureus, and to a particular parasite known as trichinella spiralis. Following a few simple preparation steps for the pork sausage will allow your family to enjoy it without worrying about foodborne illness. Defrost the pork sausage if it is frozen. You can do this in the microwave, overnight in the refrigerator or by using cold water. 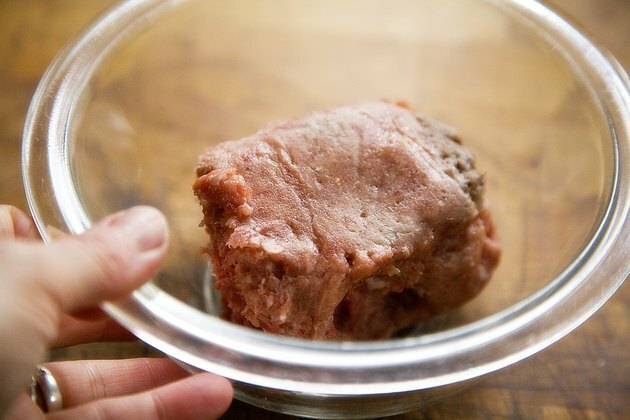 Do not let pork products stand at room temperature to thaw. 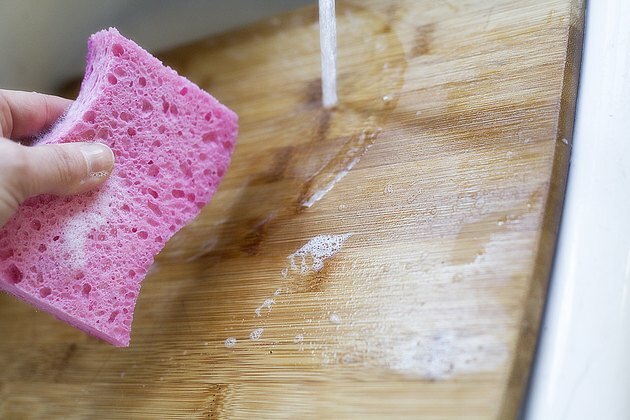 Wash your hands thoroughly with soap and hot water before preparing the pork sausage. Remove the sausage from its packaging. Immediately throw the packaging in the trash, and disinfect any surface or utensil with which the packaging came into contact. Fry or microwave ground sausage meat. 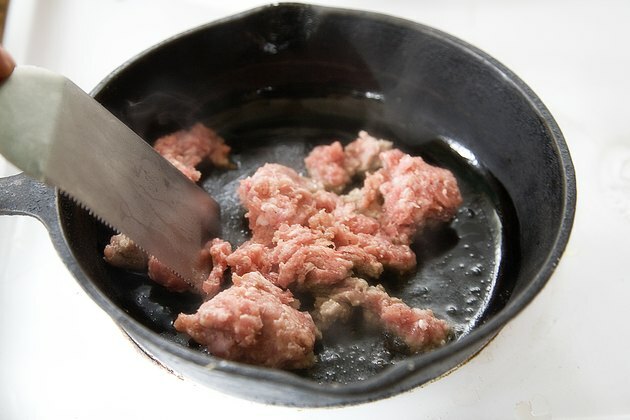 If you are using a frying pan, cook the sausage over medium heat until no pink meat remains. The same is true for microwave cooking. Broil, grill or bake pork sausage links. For baking, you should set your oven to 325 degrees F. Sausage links are safe to eat at an internal temperature of 160 degrees F as measured by a meat thermometer, or when no pink meat remains within the link. Wash your hands thoroughly again using hot water and soap. Disinfect all surfaces contaminated by the raw pork sausage. 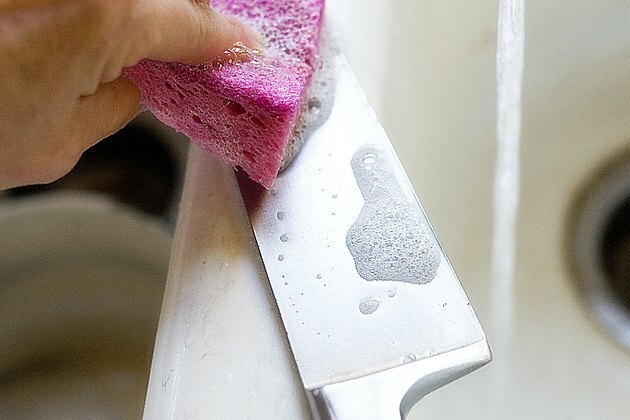 Place all utensils, such as knives and cutting boards, in your dishwasher, or wash them in very hot water and dish soap. Serve the safely prepared pork sausage while warm. If you do not have time to thaw the sausage, you can cook it from its frozen state. Be sure to adjust your cooking times accordingly, however. Uncooked sausage can be stored for 1 to 2 days in the fridge, and 1 to 2 months in the freezer. Cooked sausage can be stored 1 to 2 weeks in the fridge, and 1 to 2 months in the freezer. 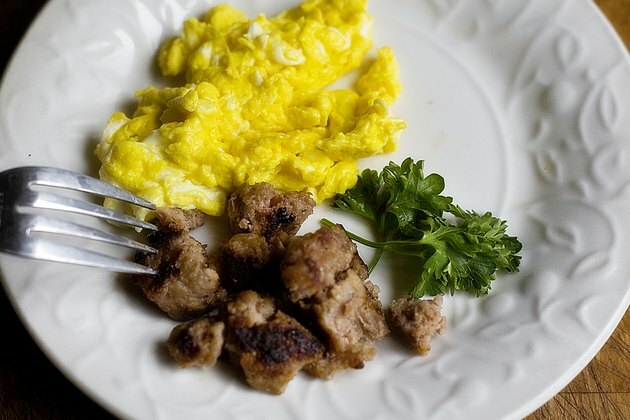 Do not place cooked pork sausage on any plate or platter used to transfer the raw sausage from package to pan. Doing so may recontaminate the cooked meat. Do You Cook a Steak in the Marinade?